The historic gem could use a new shine. 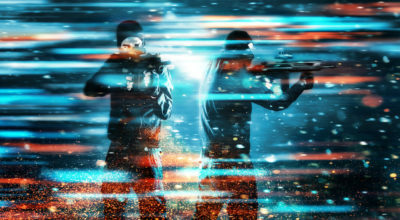 But there's growing concern about commercialization and use restrictions. I want to believe Mayor Kirk Caldwell’s planned improvements for Thomas Square will make the park a better place. Like most other city parks, it could benefit from more care. 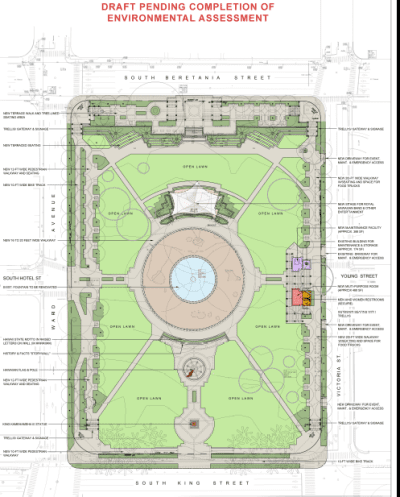 Many of the city’s ideas for improving this historically important 6.5-acre park are attractive, but other plans are worrisome, such as the city’s quest to transfer management of Thomas Square from the Parks and Recreation Department to the Department of Enterprise Services. I think the city needs to slow down to give the public more time to weigh in before it moves ahead with such major changes. The city wants Thomas Square to be operated by its Department of Enterprise Services. 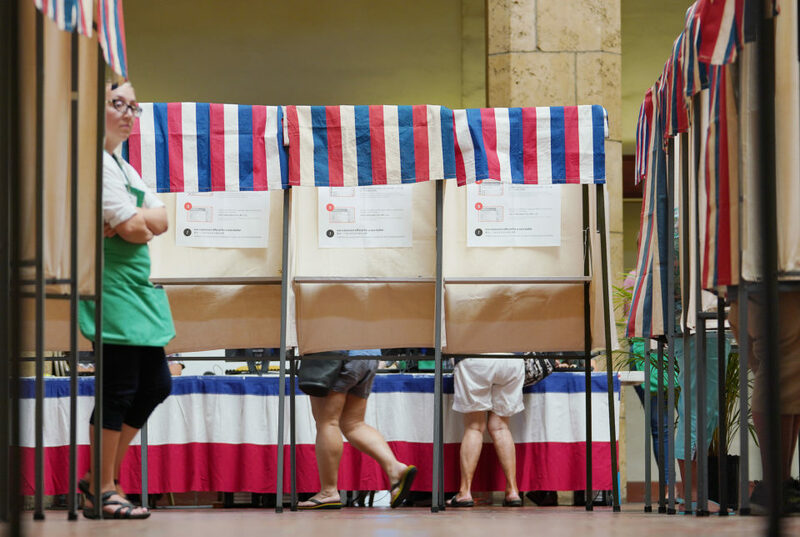 The Honolulu City Council has similar concerns. It deleted from the budget this year the $1.95 million the city requested as part of the Thomas Square upgrades, expected to cost at least $5.5 million. The DES is a money-making branch of the city. Critics are worried that this proposed change of management will transform Thomas Square into a cash cow. 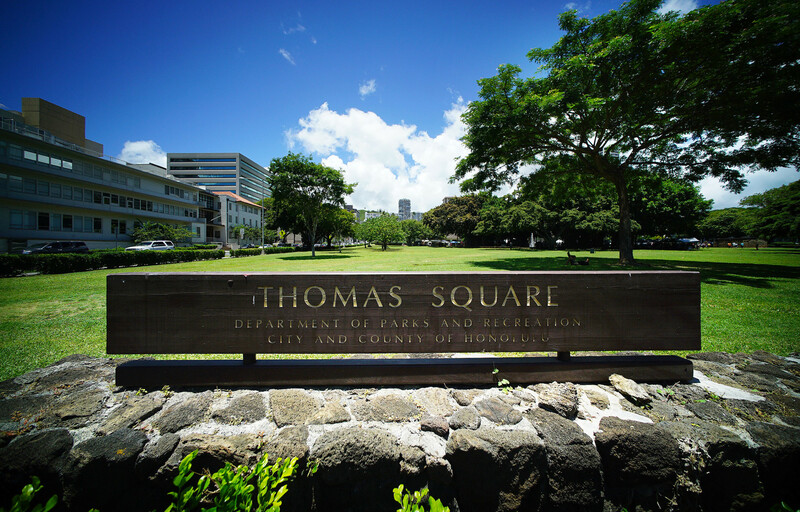 Councilwoman Carol Fukunaga, who represents part of Makiki, says that the city’s excitement over its vision for Thomas Square seems to have spun out ahead of the community’s wishes and concerns. Now the city may be pulling back a little. On Friday, it said it will postpone its original plan to shut down Thomas Square on Aug. 15 for six months to install new grass and irrigation systems. 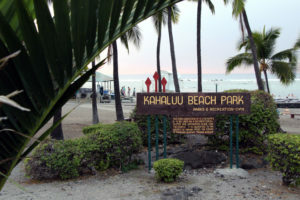 Enterprise Services Director Guy Kaulukukui says the park will remain open until after an environmental assessment is completed, which he expects will be sometime in the fall. The state is the owner of the land under Thomas Square. Hawaii’s Board of Land and Natural Resources would have to approve a change of management from parks to DES, and then a new executive order would have to be signed by the governor for that to be finalized. The La Hoihoi Ea festival, also known as Hawaiian Flag Day, was celebrated last weekend at Thomas Square. 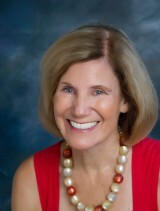 DLNR spokeswoman Deborah Ward says no date has been set for when the Thomas Square issue will come before the land board. Personally, I would like to see Thomas Square spruced up. I used to go there regularly when my daughter was young. We would roll out a towel on the grass and have some fruit and cheese and ice cream after visits to what was then called the Honolulu Academy of Arts. I still enjoy Thomas Square today, but only from afar. Like many other people, I have no intention of walking in to have a sandwich on a hot summer day. There are too many homeless milling around, especially by the bathroom on the Victoria Street side. Also I don’t like all the dogs urinating on the grass. It gives the park an unkempt feeling. A map of the proposed Thomas Square improvements. Chris Dacus, the mayor’s executive assistant for parks and recreation, says the city held more than 30 meetings since 2013 to inform the public about its plans to modernize the park. “We have been very responsive, “ Dacus says. But the trouble is that only in the last few months have people realized that the planned improvements include transferring Thomas Square’s management to the Department of Enterprise Services. That’s what got some people worried. DES runs pay-to-enter places like the Neal S. Blaisdell Center, the Honolulu Zoo, all the municipal golf courses and the Waikiki Shell. 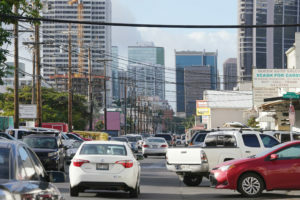 “Self supporting basis” to critics means Thomas Square might become an extension of the Blaisdell Center across the street where people must pay for tickets to go to events and are prohibited from bringing food and drinks from home. Also, the possibility that a DES-run park would have security guards standing by to evict park users is troublesome to some. “It is obvious that the city wants to use Thomas Square in the future to make money and to drive out the homeless and any unwelcome political protestors,” said H. Doug Matsuoka, who wrote a recent Community Voice piece about the proposal. Matsuoka is part of the DeOccupy Honolulu movement that set up a tent encampment at Thomas Square three years ago. The campers were kicked out by the city. But the group has continued to rally in the park to support of Hawaiian sovereignty groups. Many of its members are also part of the Food Not Bombs group, which feeds Thomas Square’s 30 to 40 homeless campers vegetarian dinners every Sunday. Kaulukukui, the director of DES, said in his own Community Voice piece that the city is not aiming to exclude anyone from Thomas Square. “We are trying to get the park used by more people. We are not trying to get the homeless out. The use of the park is not balanced now. 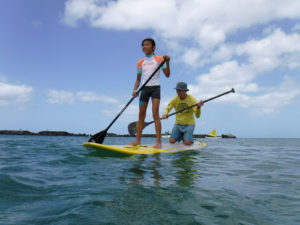 We want more families in the park more often,” says Kaulukukui. 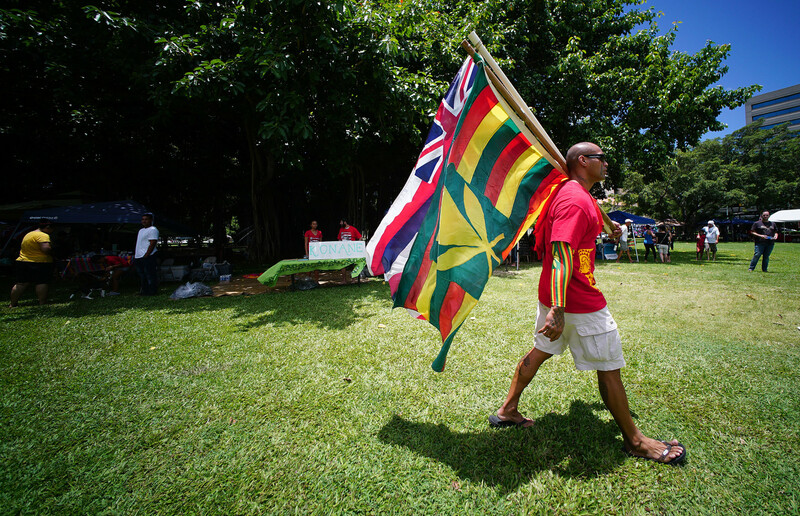 Flags were flying during last weekend’s La Hoihoi Ea festival at Thomas Square. He says events will continue to be free and the only charge would be for permits for groups wanting to put on events, the same way permits are required to hold events at other parks. He says the sole reason for the change is to better maintain Thomas Square. He says that the park under DES management will be a cleaner and more welcoming place for everyone. 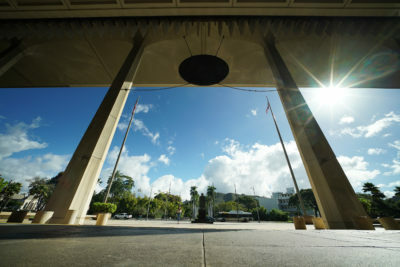 Kaulukukui says with the DES office directly across the street from the park, it can do a better job of maintenance with its full crew of 64 full- and part-time employees who currently care for the grounds and buildings of the Blaisdell Center and handle event set-ups. The park’s planned improvements will stress its historic importance with a statue of King Kamehameha III proposed for the King Street side and a pole to fly the Hawaiian flag 24/7. The parks department currently takes care of Thomas Square with a 22-member crew that is also responsible for four other parks, including Ala Moana Regional Park, Mother Waldron Neighborhood Park, Kawaiahao Mini Park and the Ala Wai Promenade. Park workers can’t be at Thomas Square all the time. Kaulukukui says he also sees creating concierge positions for Thomas Square. “They could be there all the time to meet and greet people and talk about the park’s history,” says Kaulukukui, who stresses the concierge greeters would not be security guards. Misty Kelai, the city’s director of culture and arts, would like to create a pamphlet to be handed out by volunteers to park visitors to explain Thomas Square’s historical significance. When the park is renovated, the city plans to move the Wednesday Farmers’ Market from its current location on Blaisdell Center grounds over to Thomas Square. The city says Thomas Square will continue to be dog friendly. Terraced seating and a stage are planned for the South Beretania Street side of the park, where the city wants the Royal Hawaiian Band to play as it did in the early 1900s. A concession stand is proposed for an area near the current park bathroom, which would be renovated. Thomas Square is where the sovereignty of the Hawaiian Kingdom was restored by Great Britain on July 31, 1843 by Rear Adm. Richard Darton Thomas after a five-month illegal occupation by British Navy Capt. George Paulet. 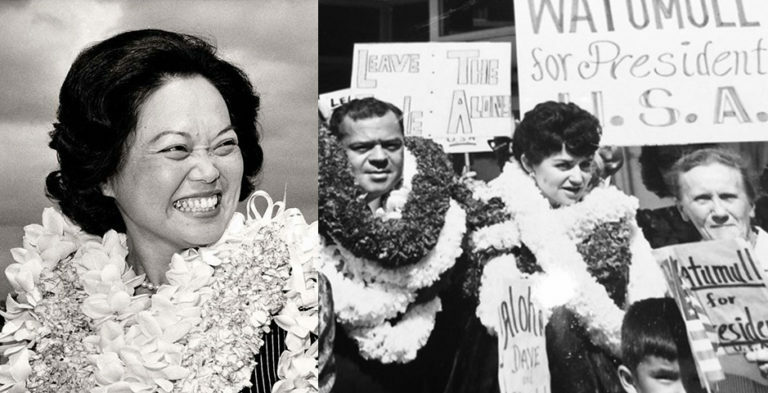 Today, the same words are a rallying call for sovereignty groups who celebrate the restoration of the Hawaiian kingdom at Thomas Square every year. 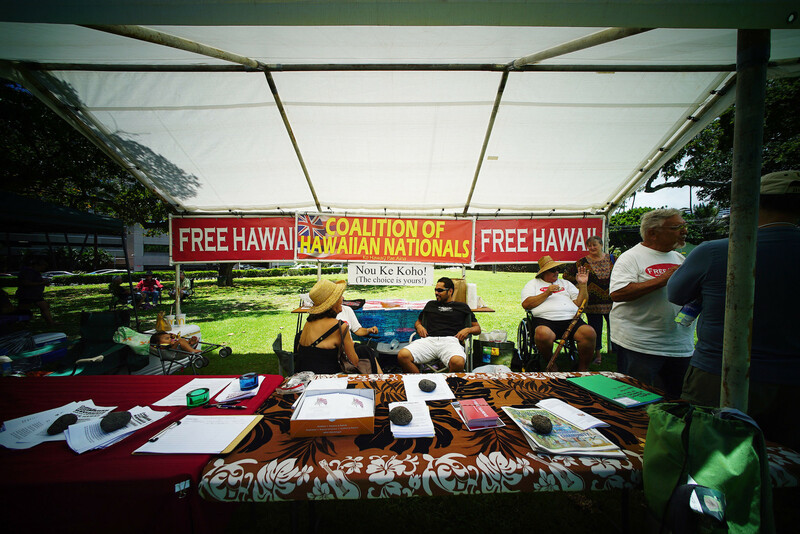 Native Hawaiian sovereignty activists gave talks and passed out information at Thomas Square. And this past weekend at the restoration anniversary, some sovereignty activists gave talks under a tent to express concern that the park they consider sacred might be turned into a commercial zone. 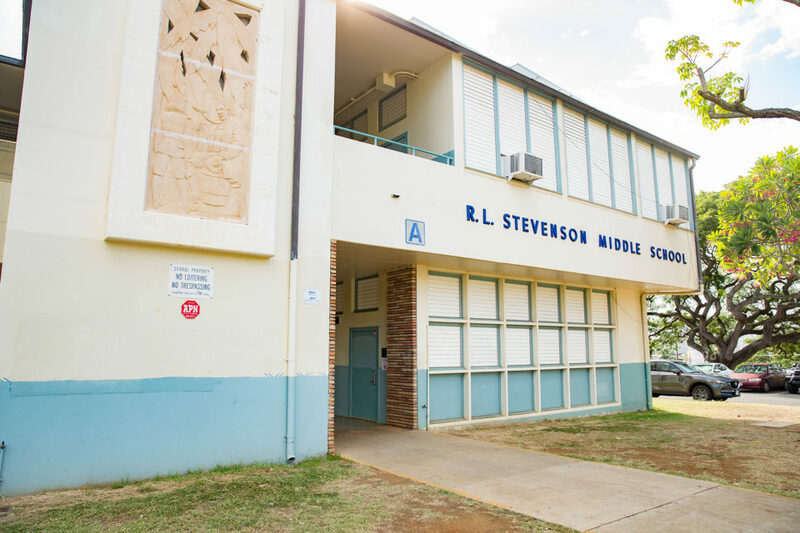 “We have not been consulted about the changes,” said Kalamaokaaina Niheu of Ala Aloha Aina. 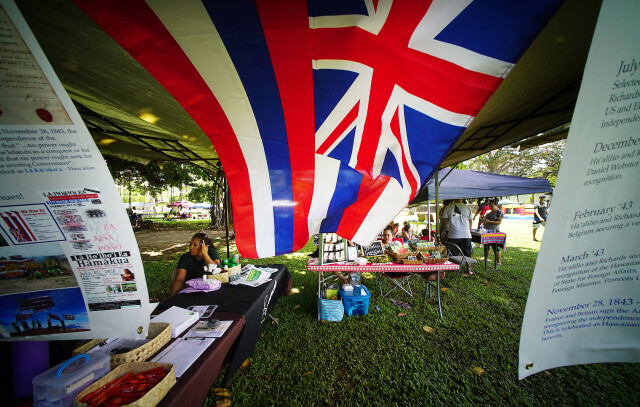 Taro activist Daniel Anthony says he’s optimistic that the city will do the right thing to honor the park’s place as a touchstone for sovereignty activities. “Most people in the movement don’t trust government. But sometimes we have to work with people we don’t trust. The mayor has decided not to be fearful of sovereignty,” says Anthony. Anthony is pleased that for the first time ever the city allowed an imu to be dug at Thomas Square last weekend for the La Hoihoi Ea ceremony. The planned improvements for Thomas Square will make it a more built-up place. Dacus says the city is currently looking at removing six large trees on the King Street side to make way for the statue and flagpole. The trees to be removed include two banyans, a false wiliwili tree, a false olive tree and two monkeypod trees. Dacus says the monkeypod trees would be transplanted somewhere else in the city, but he doesn’t know where yet. A hundred trees would be planted in their place, but they will be smaller trees such as coconut palms. The city’s proposed changes for Thomas Square are major. 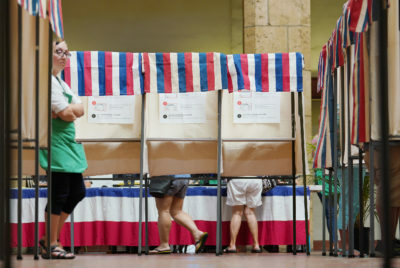 They need more time and discussion, not just by Hawaiian civic clubs and neighborhood boards representing people close to the park, but by all of Oahu’s residents. Thomas Square is an important historical asset that belongs to all of us.